It’s not uncommon for injuries to reveal themselves days or even weeks after a car accident. For some injury sufferers, it can be difficult to determine cause and effect of injury symptoms to the neck and back if they don’t surface until days after an accident. For anyone recently injured in a car accident, if you begin to experience any of the following injury symptoms, you need to seek immediate medical attention to ensure your injuries are treated and to avoid the risk of the injuries becoming more serious. Confused About Alberta’s Minor Injury Regulation? 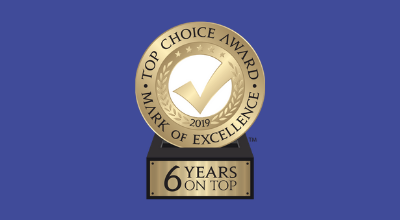 We are proud to have been chosen Edmonton’s top Injury Law Firm, following a survey by Top Choice Awards ™! This is the sixth consecutive year we’ve been honoured with this recognition, and we want to express a sincere thank you to everyone who submitted a vote in support of our firm. What is the cap for soft tissue injury compensation claims in Alberta? The Superintendent of Insurance, Paul Owens, has announced the 2019 soft tissue (minor injury) cap amount. Since 2004, minor soft tissue injuries, including minor sprains and strains, have been limited by the government. In 2004 the minor injury cap was $4,000 and that has moved up due to inflation to $5,202 in 2019, a 2.4% increase from 2018. Anyone who has been injured knows that it can be an awful experience. In addition to coping with pain and suffering, you may be worried that your symptoms might not improve. Furthermore, your injuries impact those around you. It’s never easy for those close to you to see you suffer, and they may experience feelings of helplessness. It’s important to everyone involved that you do whatever you can to heal and feel better.